7 Best Essential Oils for Acne, Pimples and Blackheads! The Best Essential Oils for Acne, Pimples and Blackheads Revealed! Are you are looking for the best essential oils for acne? 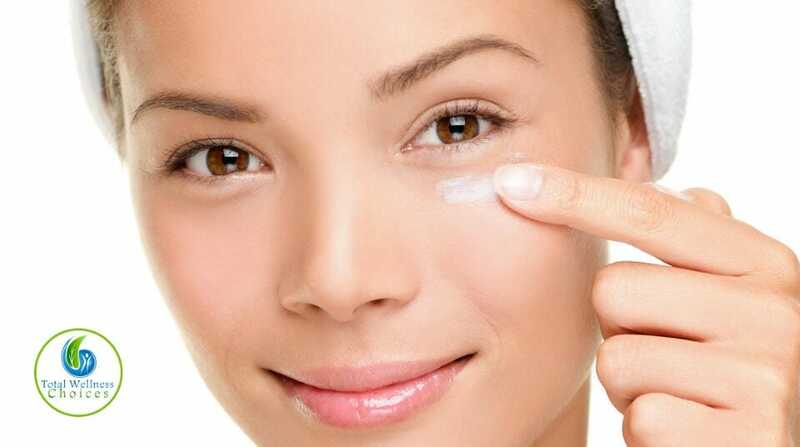 Are you looking for ways of getting rid of acne from your skin? If yes, then you’ve come to the right place. Acne most often occur on oily skin and not only on the face, but also on the neck, chest and back. Not only can acne cause discomfort, but it is also unsightly and can affect your self-esteem negatively. 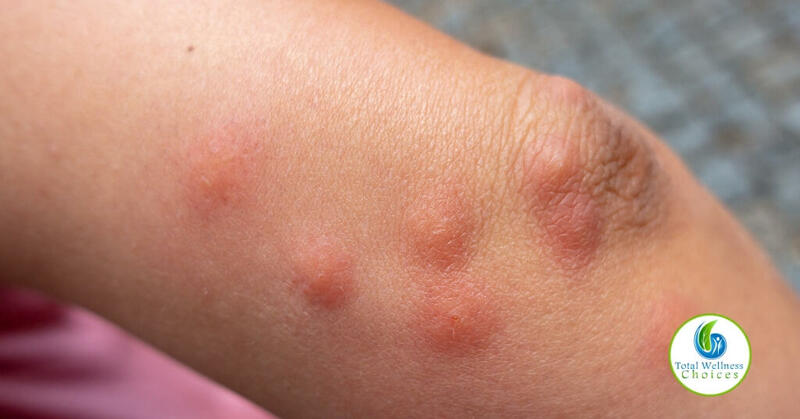 It is important that you resist the temptation to squeeze the spots to get rid of the pus, but squeezing could lead to scarring. 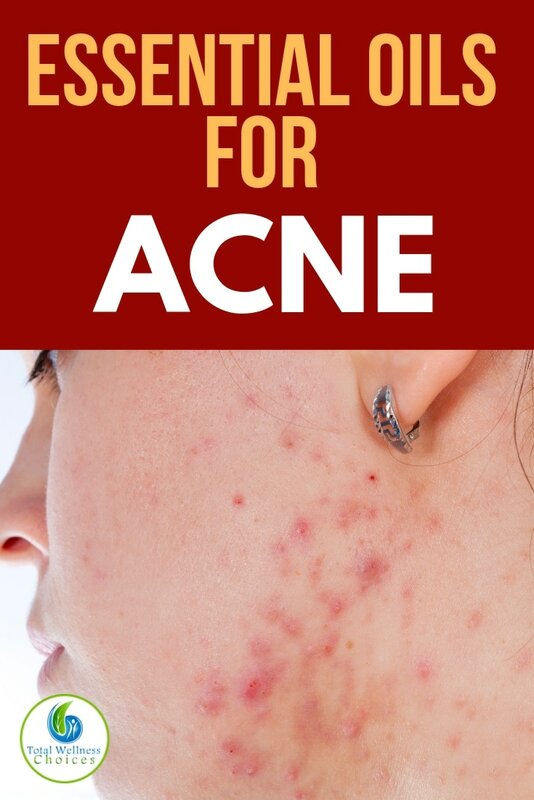 I have had acne on and off, so I know how frustrating it can be. The most stubborn acne I’ve had was on my back – it was really tough getting my back acne-free. The good news is that you can really get rid of acne. 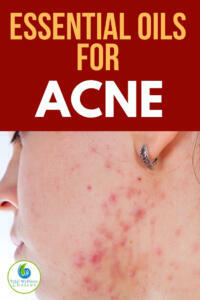 And one of the best natural ways to do that is by using essential oils for acne. Thankfully, that is what this post is all about! The antibactial and anti-inflammatory properties of these essential oils are very helful in the healing process of acne. Tea tree is basically the most popular essential oil for acne. It has antifungal, antiviral and antibacterial properties. These properties are what make tea tree potent against acne. It helps to fight pimples, blackheads, and whiteheads. 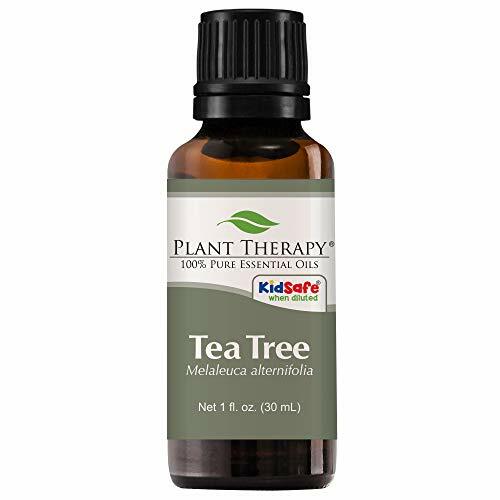 Tea tree essential oil also calms inflammation and opens blocked pores. The Clinical Microbiology Reviews Journal published a study that showed that tea tree oil has terpinene-4-on, a compound that fights different bacterial strains. It has been found to be effective for back and chest acne. Geranium is another great essential oil for acne. It has the ability to calm inflammation and other skin irritation that can lead to acne or other skin conditions. It nourishes and rejuvenates damaged the skin, making it look radiant and youthful. Geranium also helps to reduce swelling and moisturizes dry skin without making it feel greasy. It really blends well with fankincense or myrrh. Lavender is very versatile and has many benefits including stress relief, which is a major cause of acne. Research shows that there is a correlation between stress and acne. 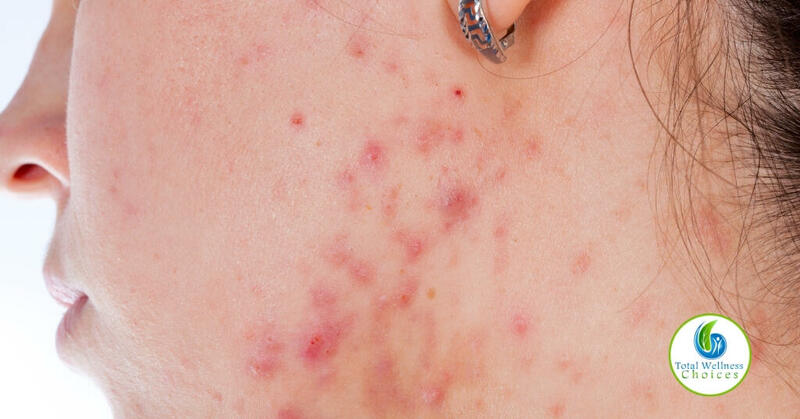 And The Archives of Dermatology Journal suggests that those with acne suffer more when facing emotional stress. It is, therefore, one of the best essential oils to use if your acne outbreak is as a result of stress. Lavender also destroys acne-causing bacteria and clears pimples from your skin. Some studies have also shown that Lavender oil can effectively deal with swelling because it is an anti-inflammatory agent. Eucalyptus has anti-inflammatory properties that helps to calm and soothe inflammation and redness caused by acne. It also has antibacterial properties that fight acne causing bacteria. 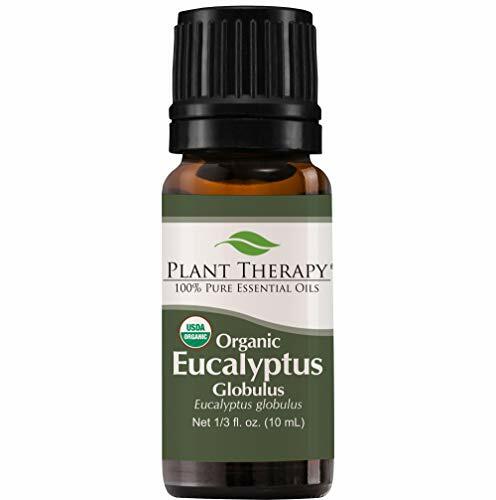 Eucalyptus also has the ability to control the sebum (oil) produced in the skin, thus helping to prevent your skin from being too oily. It is important to note that eucalyptus is very strong, so be cautious when using it and ensure that you dilute properly. Clary sage is another essential oil that helps with stress relief and acne. Its antibacterial properties also help to speed up healing of wounds. Research conducted in 2015 reveals that Clary sage is rich in antimicrobial properties that can heal wounds and prevent skin infections. Because of its ability to reduce your stress levels, clary sage can also prevent acne flare-ups that are caused by emotional problems. Juniper berry has relaxing effect that helps to calm inflammation. It also contains detoxing properties that help to clear infections. Thus, it keeps your skin free from microbes and germs that cause infections. It contains antimicrobial properties that can kill acne-causing bacteria. Its antiseptic effects can help prevent the acne from spreading. Frankincense is a potent healig essential oil. Not only does it help prevent infections, it also helps clear them. It helps calms inflammation and soothes irritated skin, whichh is why it is great for acne. It also heals and rejuvenates damaged skin. And better still, it is a very gentle and sage oil to use. Other essential oils that are good for acne are chamomile (German), sandalwood, carrot seed oil, palmarosa, patchouli, cypress and thyme. The best way to use essential oils for acne is topical application. You can add the essential oils to your normal skin cream or blend them with carrier oils. Put the jojoba oil in a bottle, add the essential oils and shake to mix the oils together. Apply a small amount of the blend on the affected areas 2 times a day. Using essential oils for acne is one of the best natural ways to fight this nagging skin problem. Not only are these essential oils effective for acne, but most of them help to heal and nourish the skin, making it look beautiful. Have you used essential oils for acne or pimples before? If yes, which ones? Share your experience in the comment section below. 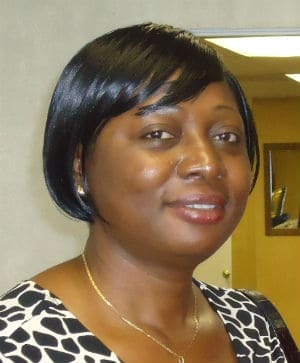 This article is for educational and informational purposes only and does not intend to diagnose or treat any disease.